Celebrities graced the red carpet in their best looks. 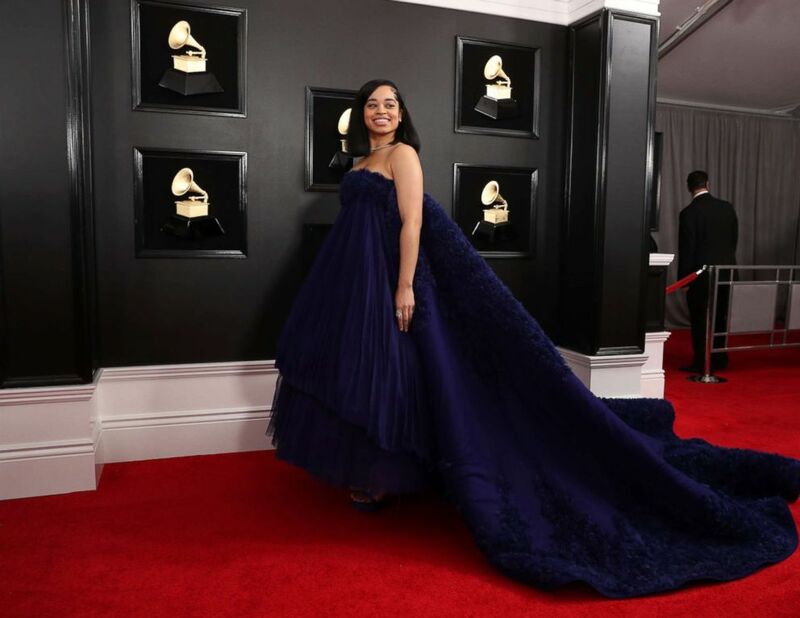 For the 2019 Grammy Awards, stars aligned in true fashion wearing their best gowns, suits and more on the red carpet. Check out these fashion blasts from the past. The singer shared her story using the hashtag #LOVEYOURBODY. The game-changing performances that rocked music's biggest night. From Alicia Keys' plunging deep-V red dress to Miley Cyrus' understated yet super chic black pantsuit, A-listers didn't hold back and definitely turned heads. While some celebrities chose to play it safe, others went way over-the-top in the best way possible. Keep scrolling to see all the jaw-dropping looks that commanded attention and left many of us in awe. (John Shearer/Getty Images) Host Alicia Keys attends the 61st Annual GRAMMY Awards at Staples Center on Feb.10, 2019, in Los Angeles. Keys sizzles in this red gown that screams, "this girl is on fire!" (Jordan Strauss/Invision/AP) Lady Gaga arrives at the 61st annual Grammy Awards at the Staples Center, Feb. 10, 2019, in Los Angeles. Lady Gaga's glistening metallic moment is everything and more. (Jordan Strauss/Invision/AP) Jennifer Lopez arrives at the 61st annual Grammy Awards at the Staples Center, Feb. 10, 2019, in Los Angeles. J.Lo is a red carpet stunner in her jeweled white dress and matching hat. (Neilson Barnard/Getty Images) Katy Perry attends the 61st Annual GRAMMY Awards at Staples Center on Feb. 10, 2019 in Los Angeles. Perry is a breathtaking vision in her powder pink sleeveless dress. (Lucy Nicholson/Reuters) Cardi B arrves at the 61st Grammy Awards in Los Angeles, Feb.10, 2019. 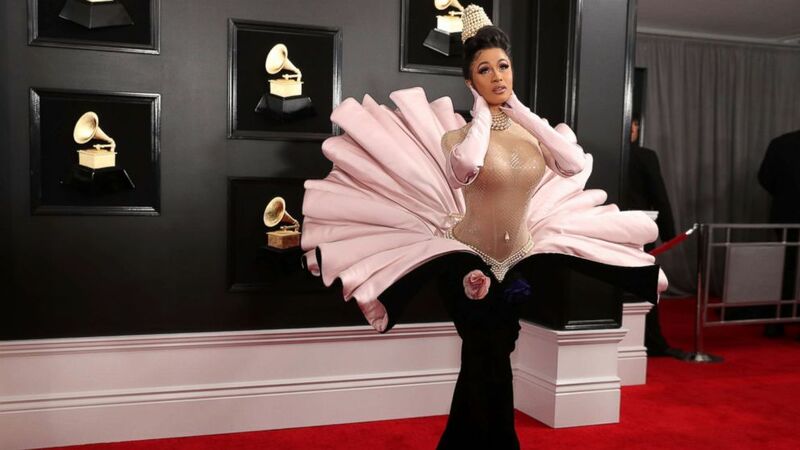 Cardi B won the red carpet with this extravagant black and pink ensemble. (Neilson Barnard/Getty Images) Dolly Parton attends the 61st Annual GRAMMY Awards at Staples Center on Feb. 10, 2019 in Los Angeles. It's hard to miss Parton's romantic red mix of feathers, ruffles, and jewels. 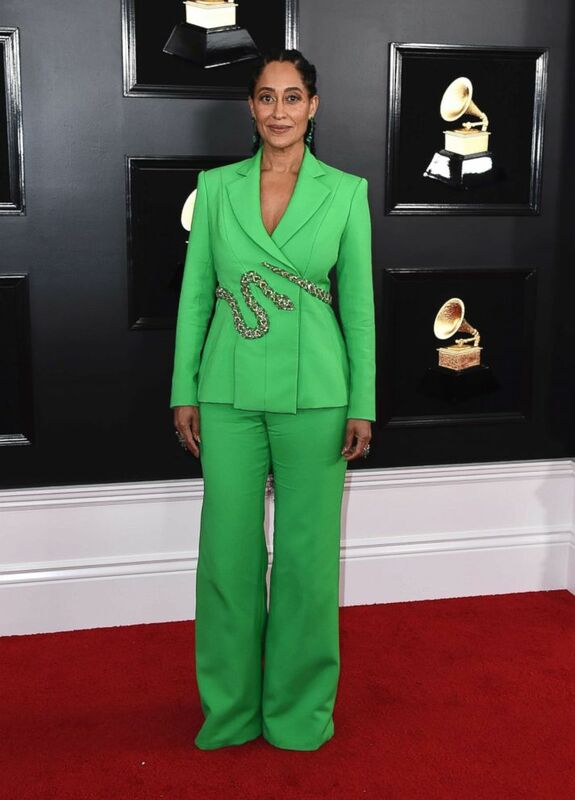 (Jordan Strauss/Invision/AP) Tracee Ellis Ross arrives at the 61st annual Grammy Awards at the Staples Center Feb. 10, 2019, in Los Angeles. Ross looks like a true fashionista in her green two-piece suit. (Lester Cohen/Getty Images) Bebe Rexha attends the 61st Annual GRAMMY Awards at Staples Center, Feb. 10, 2019, in Los Angeles. Rexha wowed us all in her layered red ball gown. (Valerie Macon/AFP/Getty Images) Singer Miley Cyrus arrives for the 61st Annual Grammy Awards on Feb. 10, 2019, in Los Angeles. Cyrus wowed us in her understated yet super chic black pantssuit and strappy sandals. (Jordan Strauss/Invision/AP) Camila Cabello arrives at the 61st annual Grammy Awards at the Staples Center, Feb. 10, 2019, in Los Angeles. Cabello shined in the best way possible by going with this hot pink sequin number. (Lucy Nicholson/Reuters) Janelle Monae arrives at the 61st Grammy Awards in Los Angeles, Feb. 10, 2019. Monae is a total knockout in her high-shouldered look topped with a bedazzled headpiece. (Lucy Nicholson/Reuters) Meghan Trainor arrives at the 61st Grammy Awards in, Los Angeles, Feb. 10, 2019. Trainor was a showstopper in her plunging deep-V cut white jumpsuit with crystal detailing. (Lucy Nicholson/Reuters) Ella Mai arrives at the 61st Grammy Awards in Los Angeles, Feb. 10, 2019. Mai made jaws drop in this beautiful sleeveless floor-sweeping gown. (Jon Kopaloff/Getty Images) Miguel attends the 61st Annual GRAMMY Awards at Staples Center, Feb. 10, 2019 in Los Angeles. 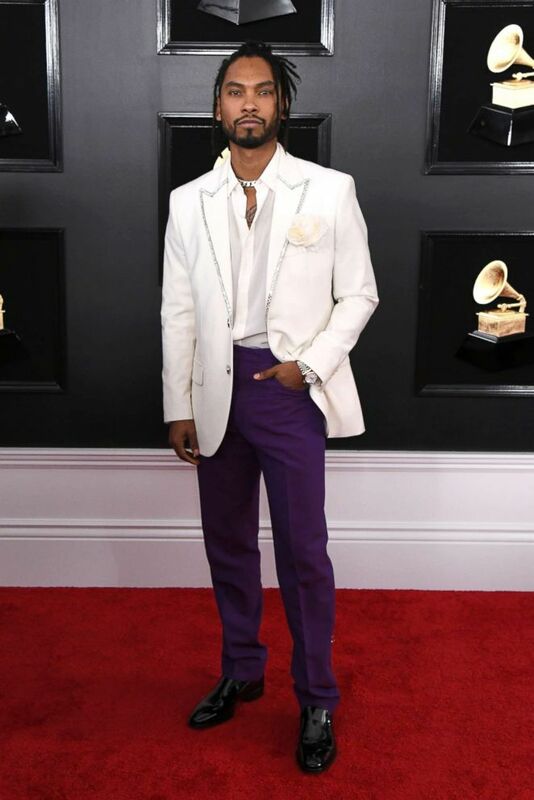 Miguel looks like the man of the hour on the red carpet in his white blazer and purple pant combo.